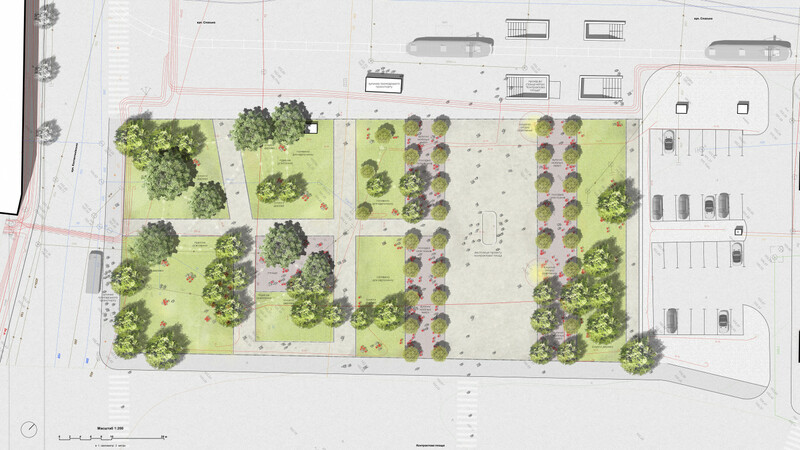 To free the park from street vending and return the lost public space to the residents. 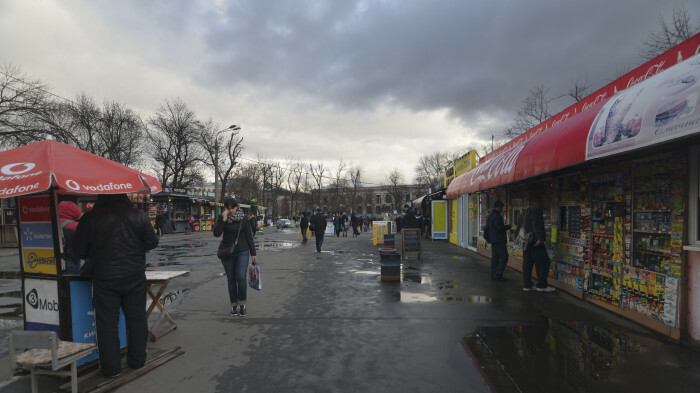 Restore the space to what it had been 20 years before. 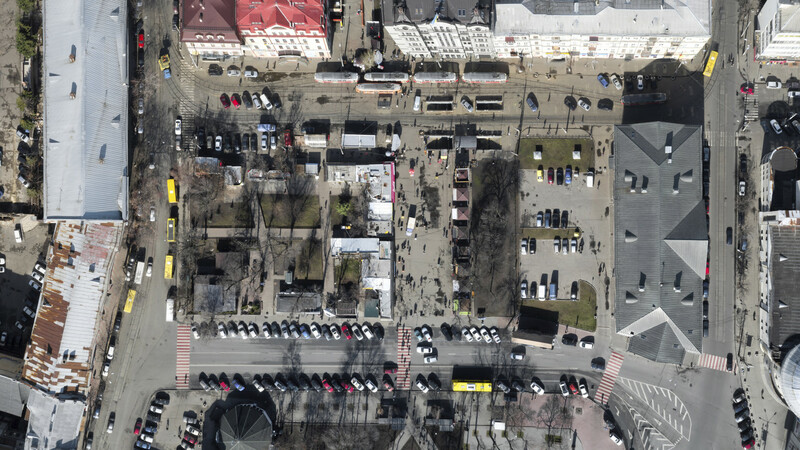 Kontraktova Square is one of the oldest in Kyiv, it appeared in the times of Kievan Rus. 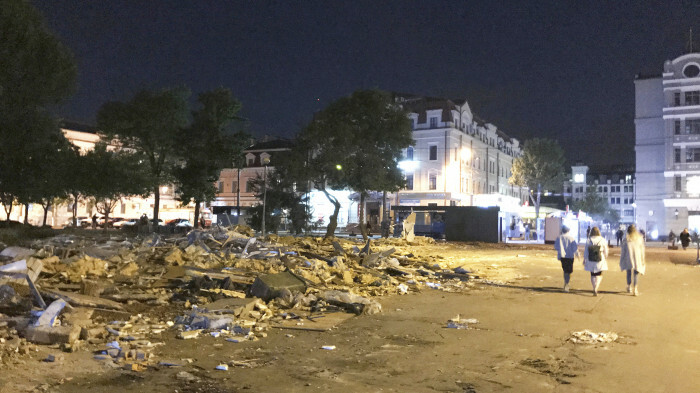 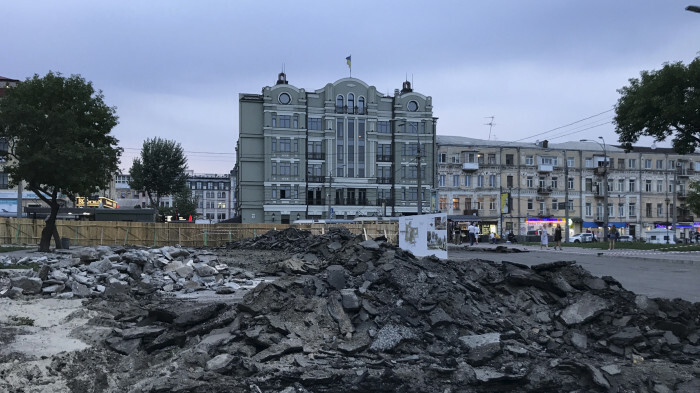 After the destruction of the Upper City, the center of Kyiv moved to Podil, and Kontraktova Square became the central one. 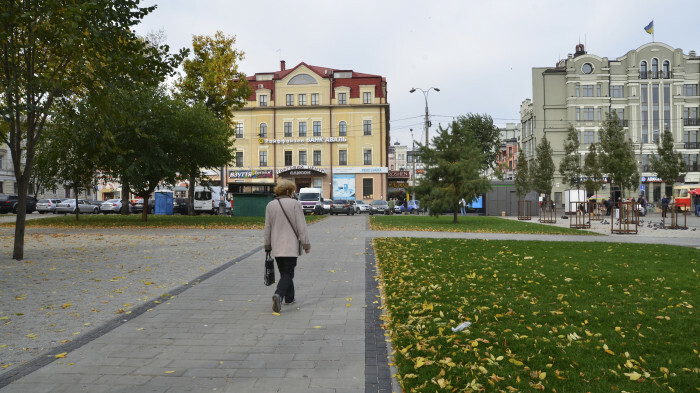 Garden #3 located close to metro station and tram lines. 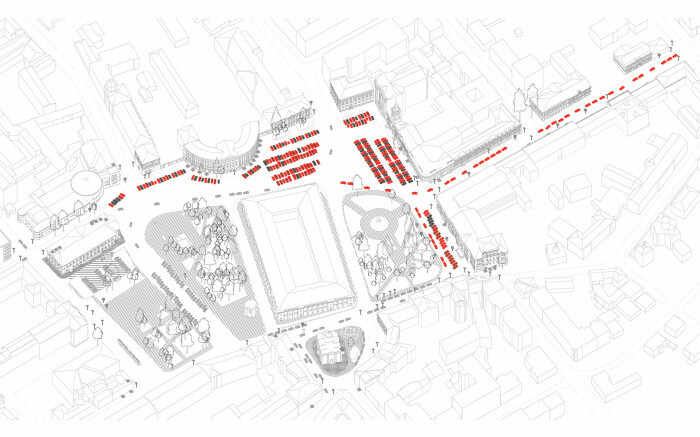 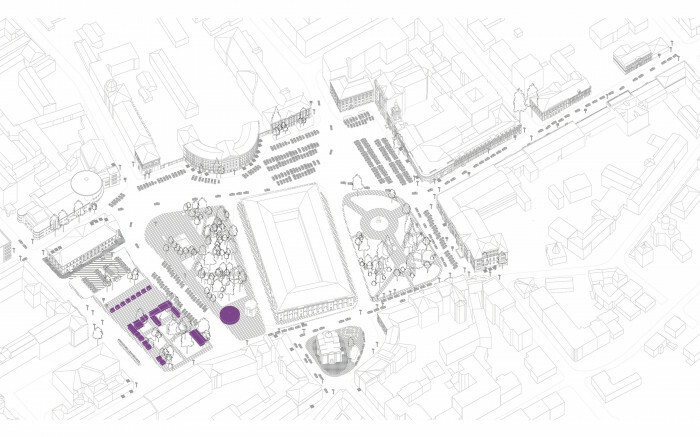 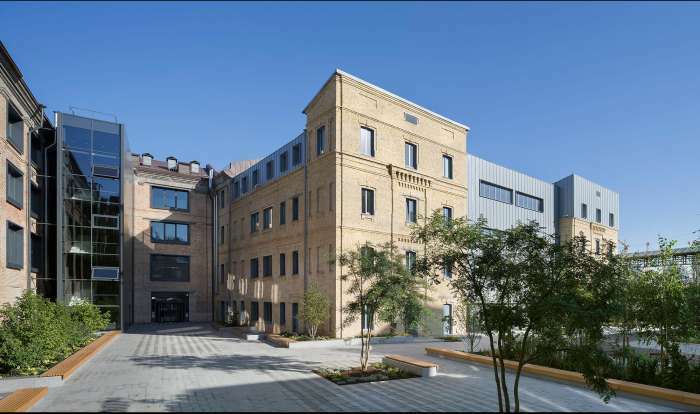 At present the square plays a transit role and a role of a transport hub. 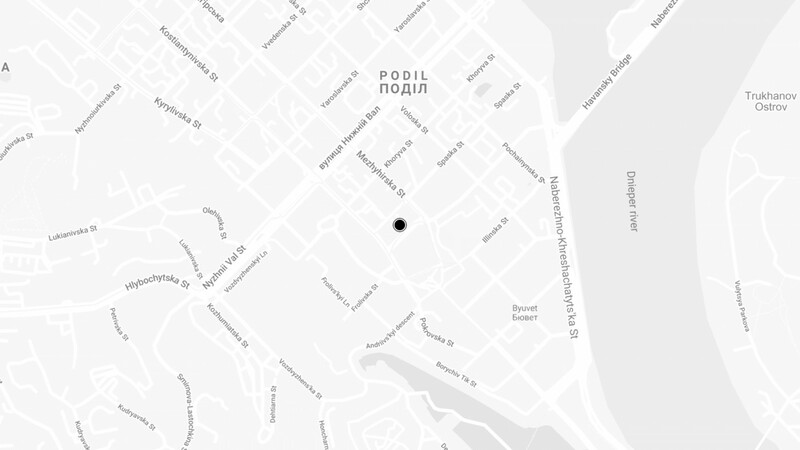 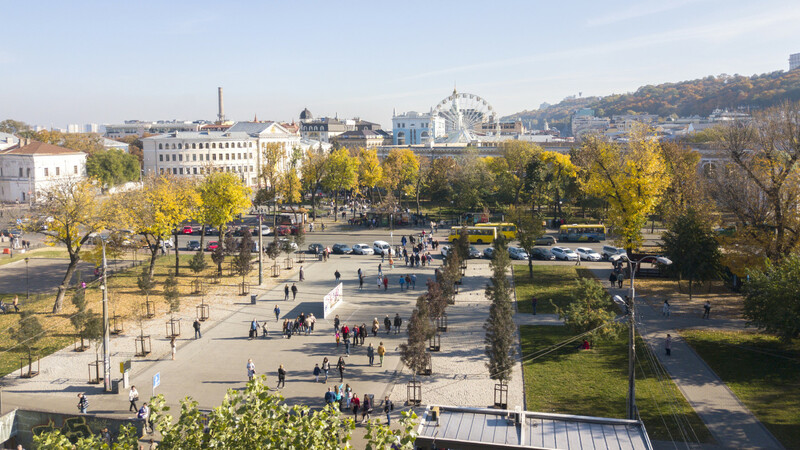 Every day, through the transport hub of Kontraktova Square pass over 35 thousand people. 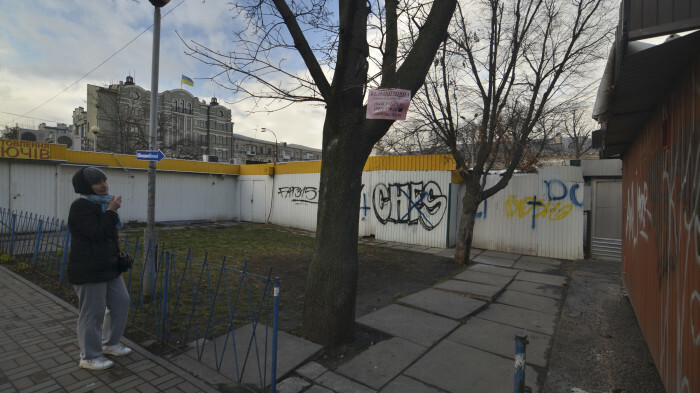 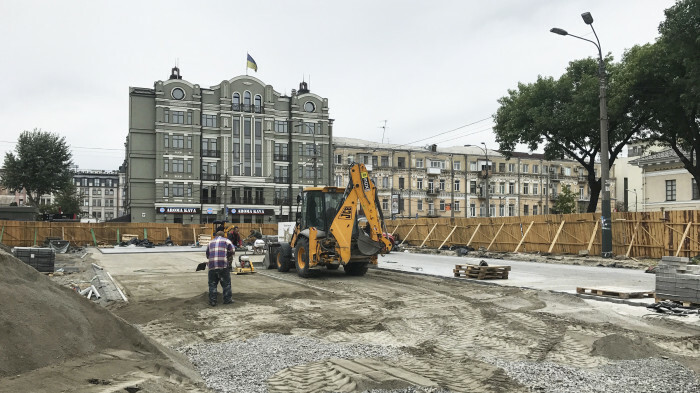 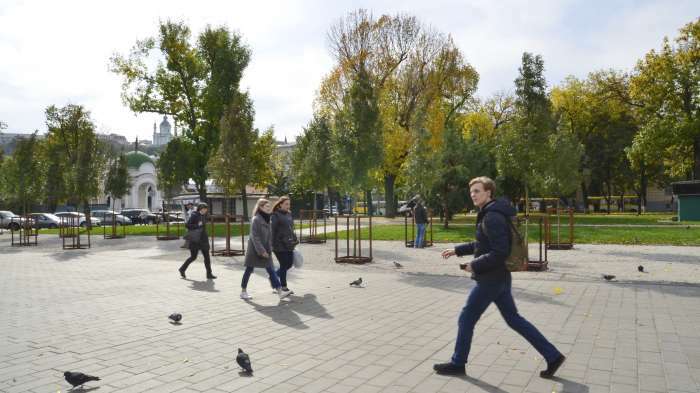 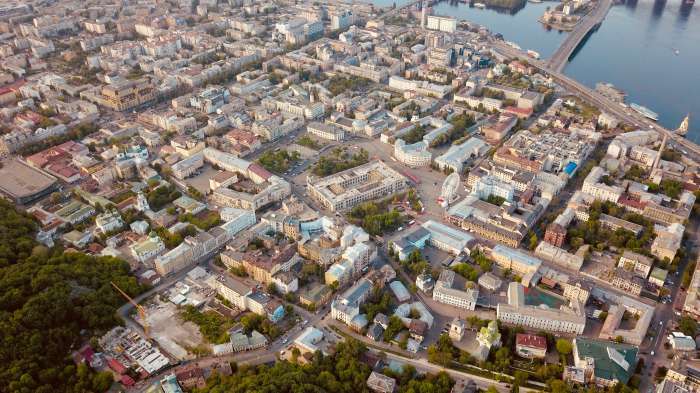 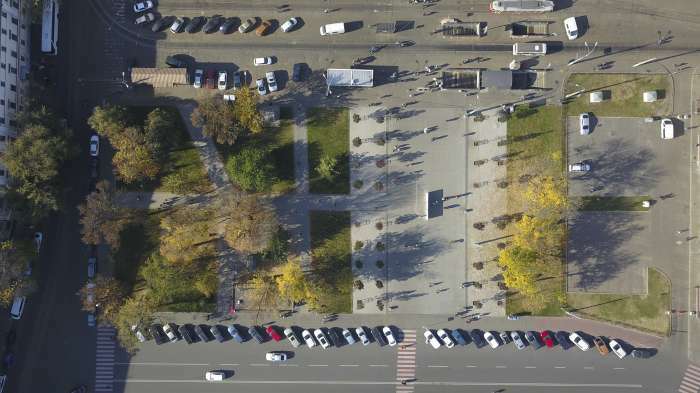 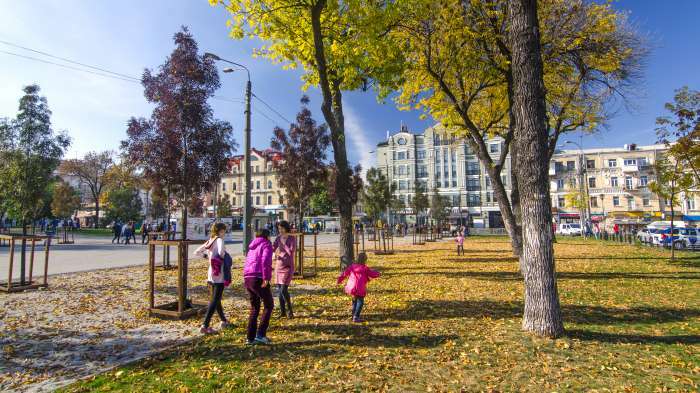 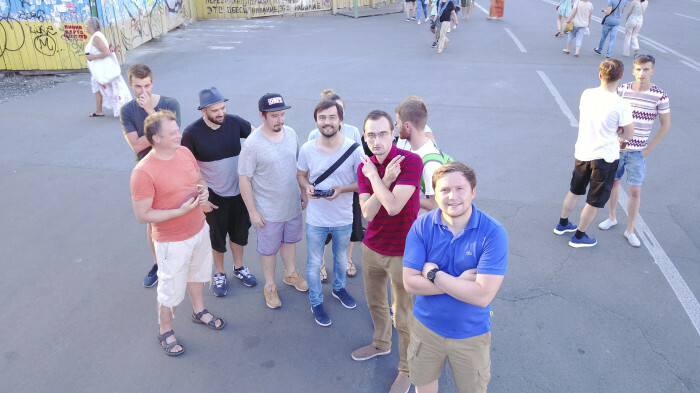 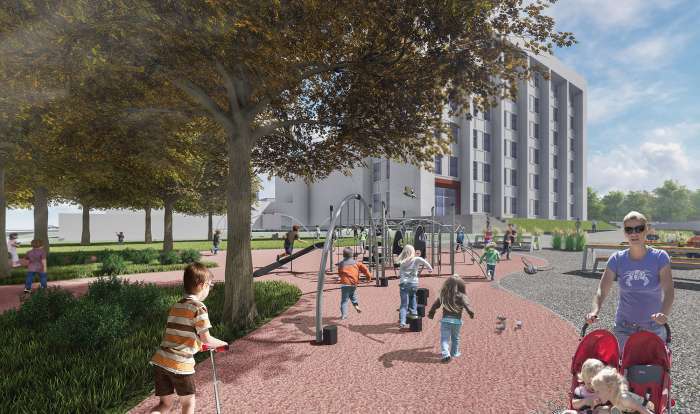 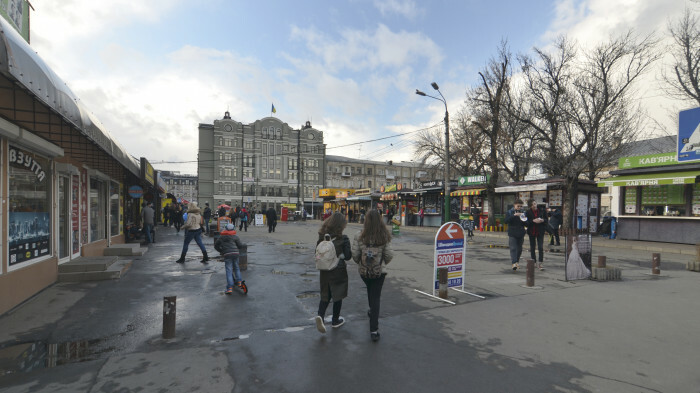 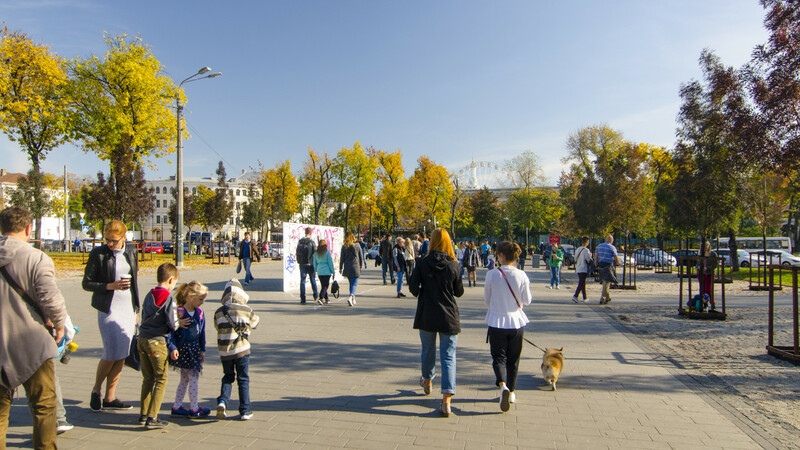 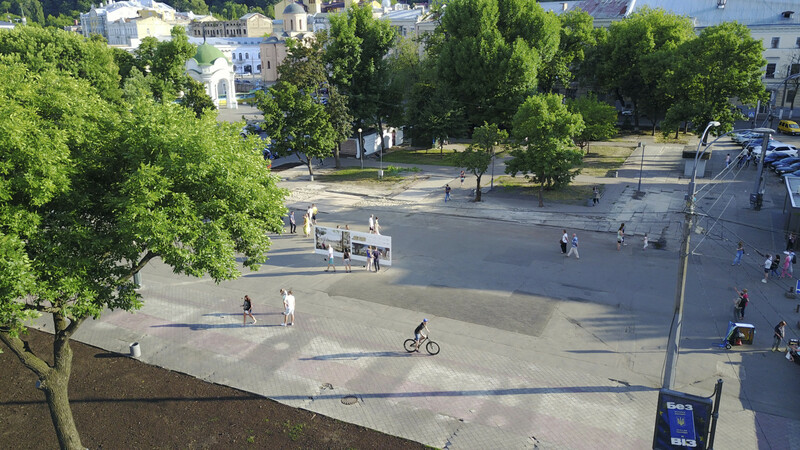 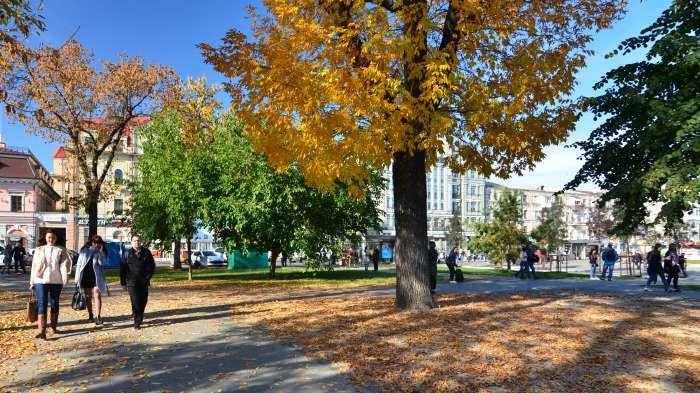 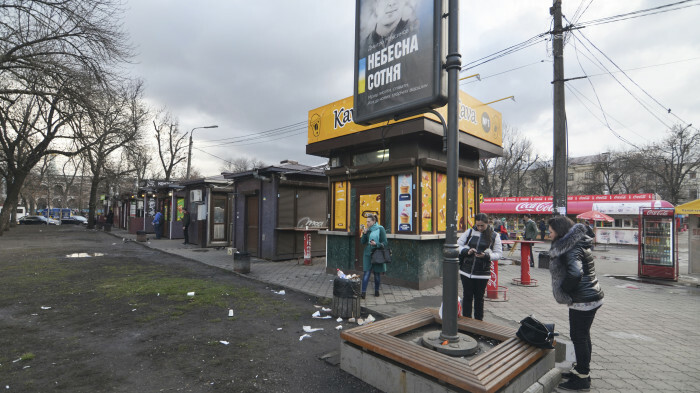 This project is the first step towards the overall reconstruction of the Kontraktova Square under the project 'Kyiv Vitalnya' of the author's collective, the winner of the 'CONTR/ACT' competition, which provides for creation of a brand new pedestrian space. 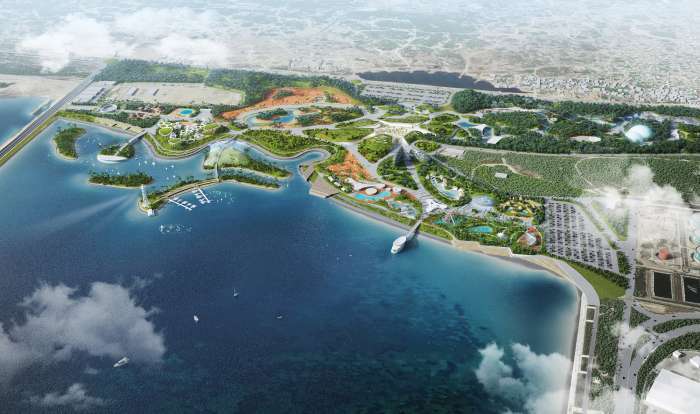 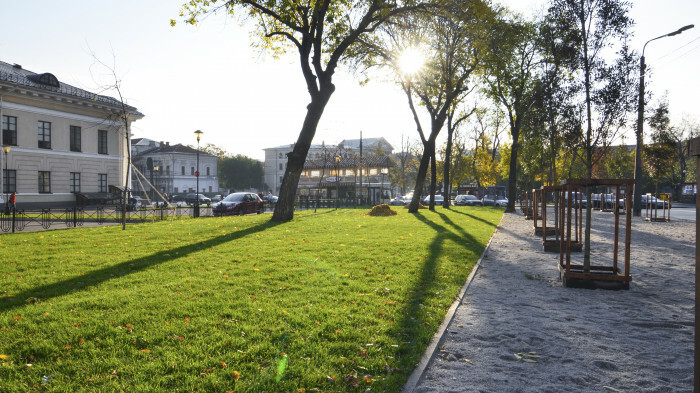 For a long time residents did not perceive the garden as a green area and a place for rest. 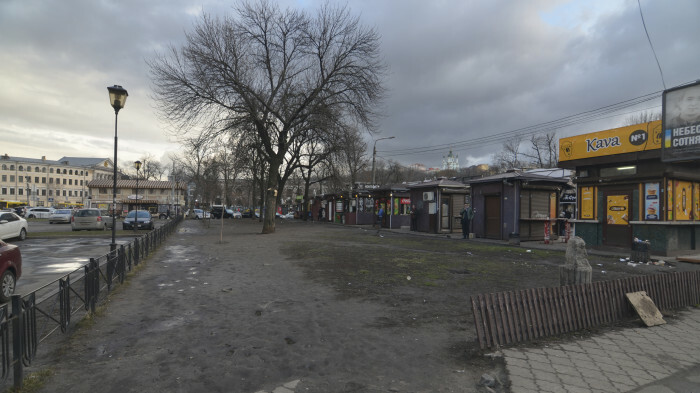 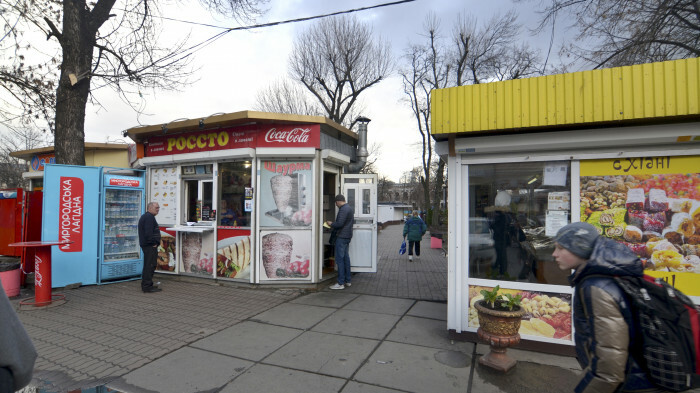 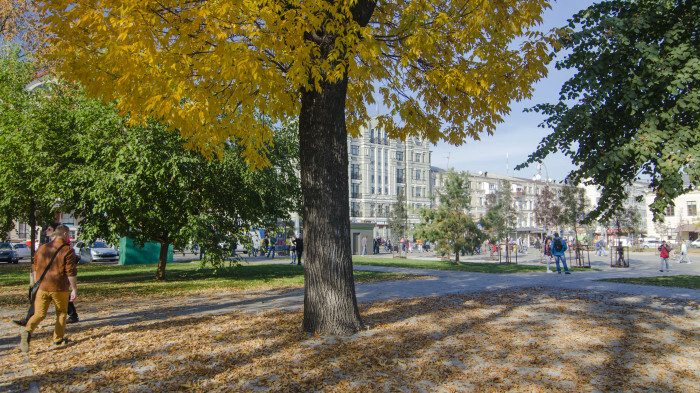 Before the general reconstruction of Kontraktova square it was important to give people the sense of belonging to the territory. 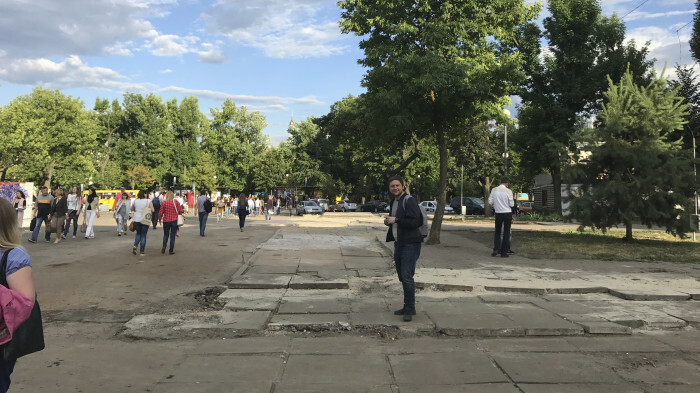 At this stage it is important to restore the historically laid structure of the park and return the long-lost public space. 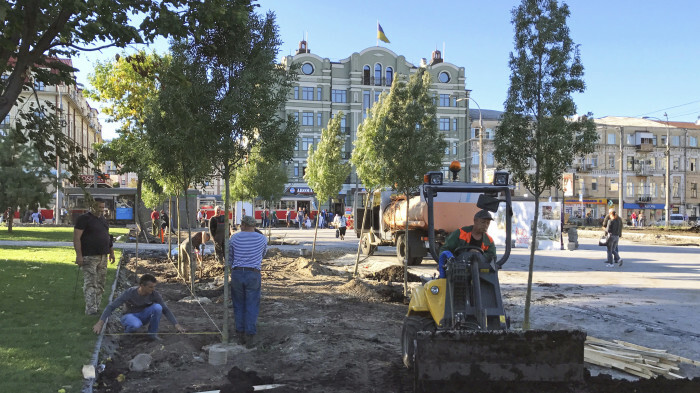 Together with the phytopathologist Sergii Rogovskii we have investigated existing plantings and developed a list of recommendations for their care. 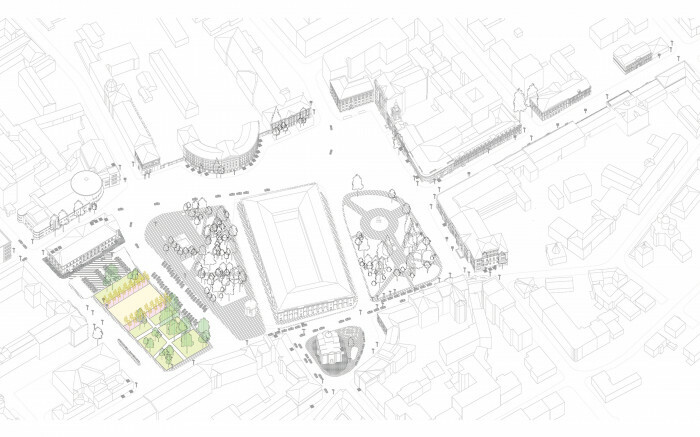 The area should become a place for rest, not a trade. 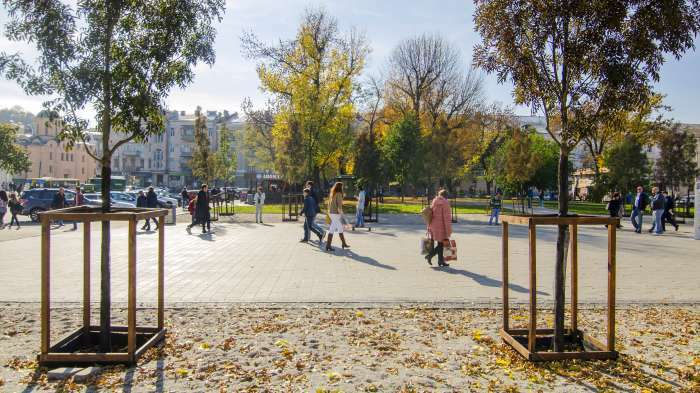 For the initial stage of the reconstruction, we chose the simplest and easiest way to implement the solution — to restore the lost historical area in the way it was before it was absorbed by kiosks. 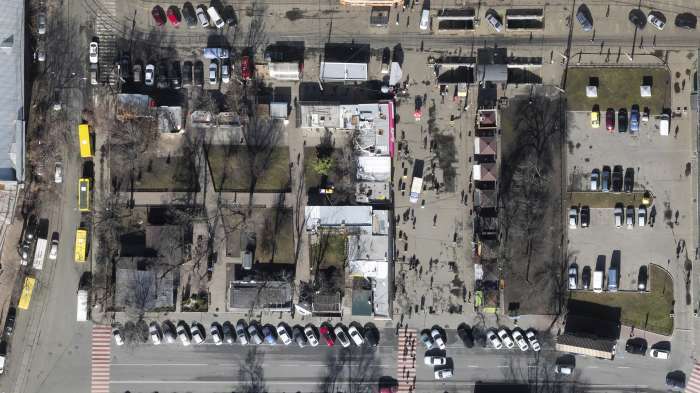 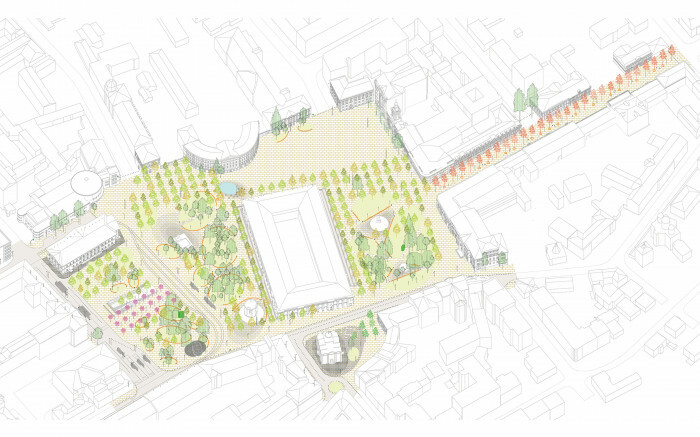 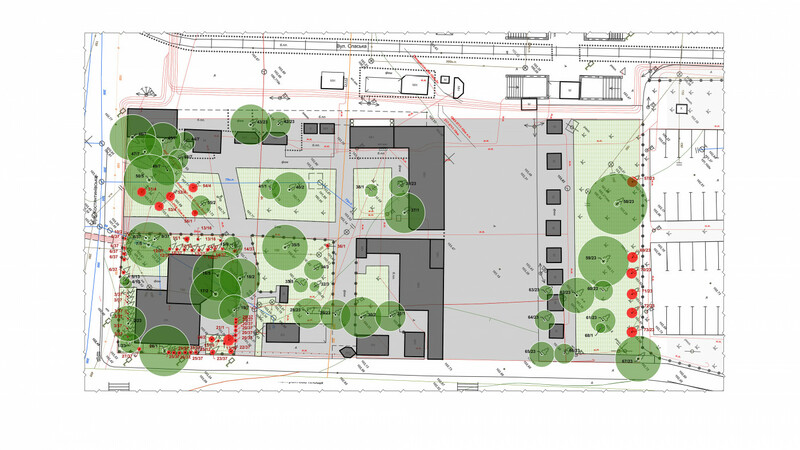 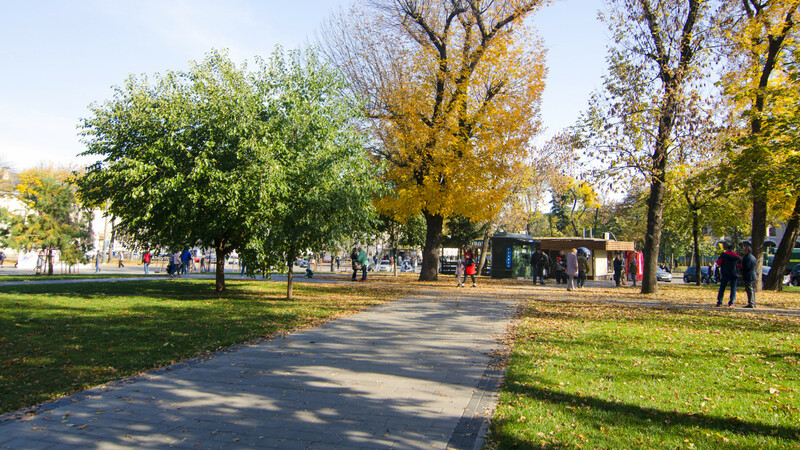 Conditionally the new square #3 can be divided into two parts — a transit alley and recreation ground. 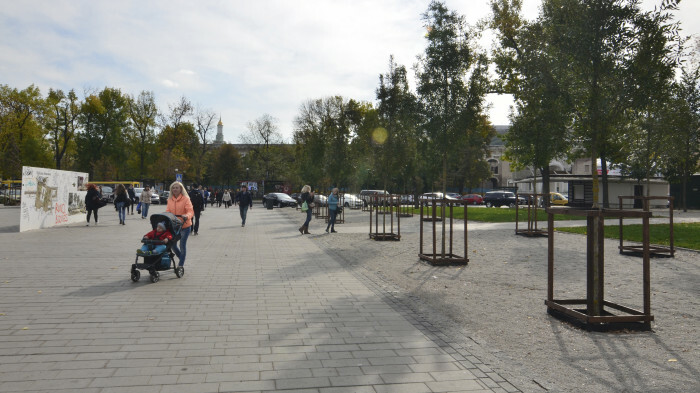 The path from the metro station 'Kontraktova Square' exit towards the monument to Skovoroda and the Hospitable Yard was made as a paved alley. A wide transit zone allows to move comfortably even during a rush hour, despite the dense pedestrian flow. 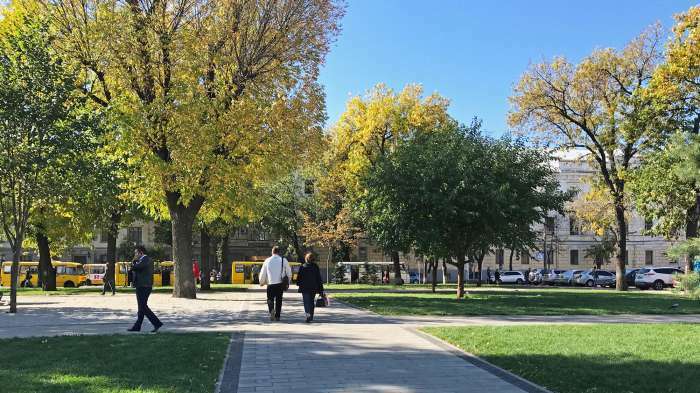 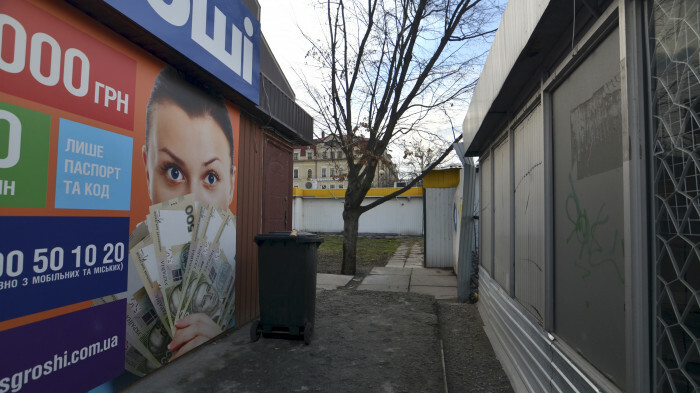 In a place where the kiosk’s have grown in recent years, an alley of ash trees has been planted to symbolize that change in values in a society has come and it is irreversible. In the middle of the square #3 there is a cozy area covered with gravel and surrounded by a lawn.